The trade row between the Transatlantic partners has been gaining steam, as Brussels has no plans to leave proposed US trade restrictions unanswered. 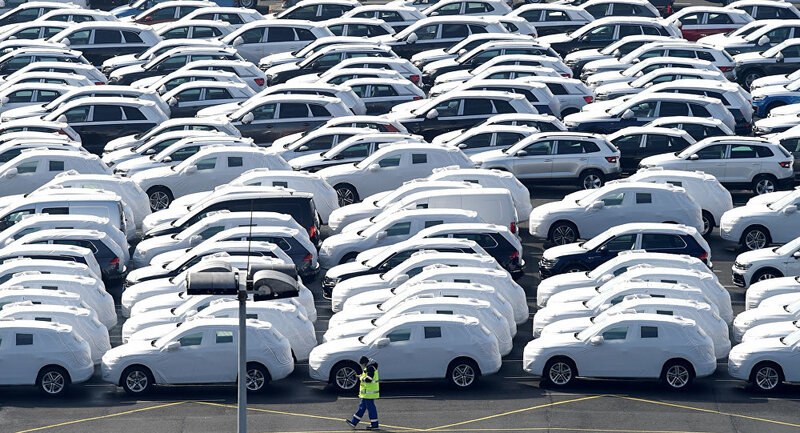 The European Union has warned the US against imposing tariffs on automotive industry imports, threatening Washington with a major retaliatory move which is likely to affect up to $294 billion in US exports. Brussels has submitted to the US Department of Commerce a 10-page document, in which the bloc expresses its stance on import duties on cars, calling them "unjustifiable" and "senseless" from an economic point of view. According to the submission, some 120,000 jobs were created on US soil by the European companies which make almost 2.9 million cars. The bloc also noted that in case Washington resorts to imposing tariffs, US domestic automotive production will be negatively affected since the domestic manufacturers will have to address a dramatic increase in costs. In addition, the EU called the link between the auto industry and national security "weak." The issue of automotive industry tariffs came to the surface after US President Donald Trump had ordered the Commerce Department in May to conduct an investigation into the bloc's trade surplus with the US and higher import tariffs on cars. Last week, the President announced that the research was drawing to a close and that Washington was considering the introduction of 20 percent duties on all vehicles assembled in the EU. Previously, the US imposed tariffs on steel and aluminium imports from the EU, drawing a barrage of criticism from its Transatlantic partners and warnings that a full-scale trade war was looming.